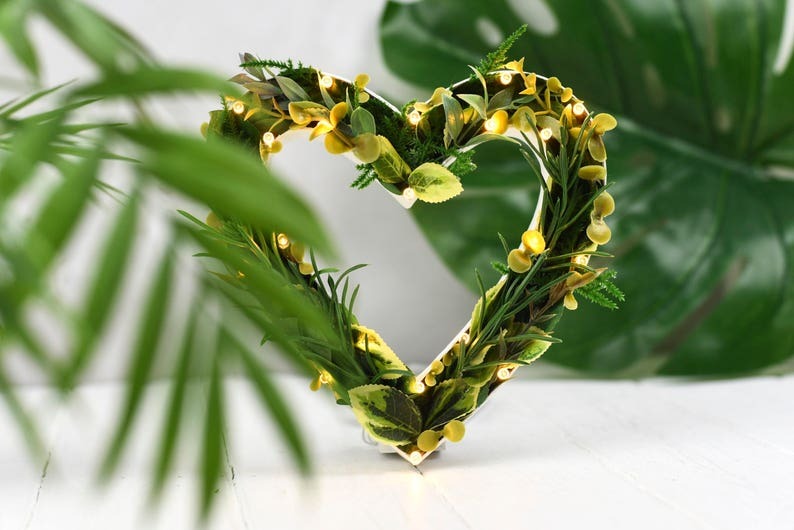 Brand new for 2017, we're excited to launch our new 'Greenery' light collection, adding our popular marquee heart lights to the collection. 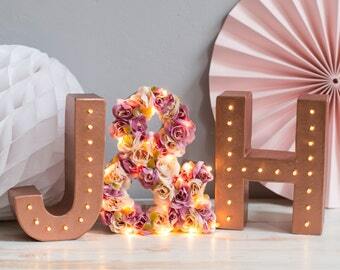 The lights are individually powered by 3xAA battery operated warm white LEDs (up to 20 per light) and have that all important clear wire meaning that the flex to the battery pack is nice and discreet and won't look unsightly in your wedding photos. Size wise, they measure approx 20cm tall, and about 20cm wide. 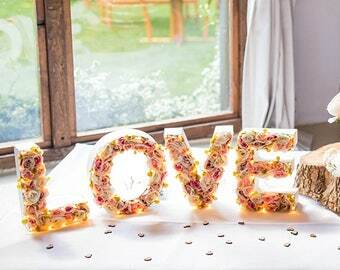 Please note these lights are not wall mountable and at this time, i only make this size heart.